This sweet quilt is a Lori Holt design. Make this beautiful quilt with your accuquilt cutting system. No cutting curves! This is a lecture class taught by our own Laura Clark. 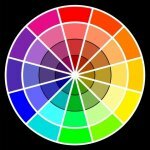 Color theory is a set of principles used for working with color that involves mixing colors, considering the effect of mixing color and creating pleasing color combinations. We will teach you how to make a patriotic themed bench pillow. We will be making a 18" x 18" pillow with Oklahoma as the theme. this class will involve some applique and a zipper. we have done 95% of the cutting for you, a kit is available that has been laser cut with a fusible on the back of the cut pieces. Come sew with our guest teacher Donna Alexander and create a beautiful quilt top with the Accuquilt Qube and the Companion Angles Set. We are very excited to do this class starring the Accuquilt GO! Cutting System. Come get those projects finished with friends and make new ones. This is a Block of the Month for 2019 there are 2 colorways, We have one called called Ballycastle by Moda, there are a variety of blues and yellows, and one that is a Northcott line called Americana which is done in patriotic fabrics. The finished size is 108x108 on both quilt kits. We have scheduled ANOTHER KimberBell Event! We will be doing A Star Spangled Celebration June 21st and another class on June 22nd. This is a one day Event with a star spangled theme. We will be making 3 patriotic projects with 2 dates to choose from. Come join us in making a pennant, mug rug and a tote. Bring your Collage kits and play!!!! Need to satisfy your sweet tooth and machine embroidery addiction? Come sew with us in Kimberbell?s Kitchen. Make six exclusively sweet projects to bake with in your own kitchen or gift to a fellow baker. Create a delicious chenille hot pad, bread basket, vintage mixer applique apron, and more! Improve your embroidery skills, learn new techniques, and have your cake and stitch it too! We are having sew much fun, we would love for you to join our Embroidery Club called Beth's Bellas and Fellas. 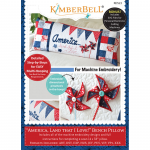 We will feature a new KimberBell design every month from KimberBell's latest Dealer Exclusive pattern book. This club meets on the first Friday and Saturday of every month. Beverly and her Needle Turners Club will be making this Dancing Umbrella quilt. There is still time to take beginner needle turn class to prepare to do this class. Beginner needle turn class is April 13th. Join our Thread of the Month (TOM) and create your own stash of Glide Thread! Notions, in original packaging, will be accepted for a full refund for up to 30 days. Fabric, sale items or shipping charges do not apply to our 30 day Return Policy. Due to copyright laws, patterns and books may not be returned or refunded. To receive a refund for a class cancellation, we must be notified 48 hours prior to the class date.